Analysis: The special counsel indicted Manafort on crimes like tax perjury, which has a lower burden of proof than tax evasion. Political observers agree that special counsel Robert Mueller needs a win from the first trial arising from the federal investigation into Russian election interference. 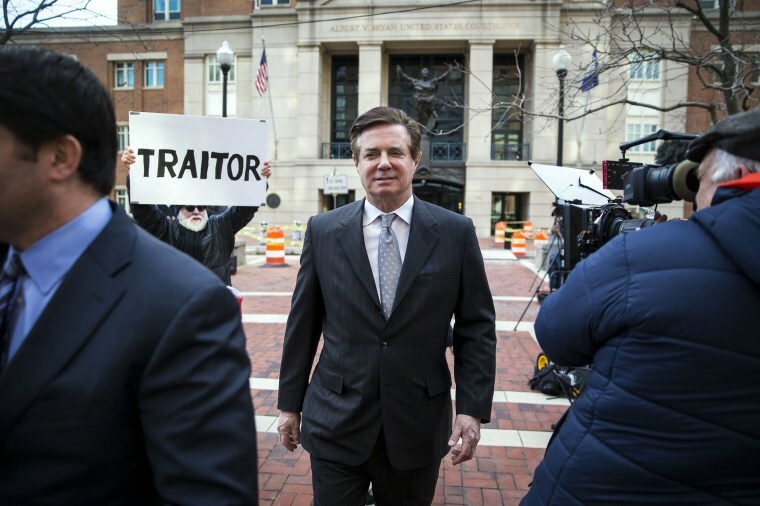 Though the federal court trial of Paul Manafort, President Donald Trump's former campaign chairman, is not expected to shed any light on Russia's election meddling and the charges Manafort faces do not involve his time with Trump, supporters of Mueller's probe have said a guilty verdict will validate an investigation repeatedly attacked by the president and his allies. Detractors note that a loss could throw the legitimacy of Mueller's mandate into question. That's perhaps why the special counsel indicted Manafort on crimes like tax perjury and bank fraud, accusing him of hiding millions he made advising Ukrainian politicians and lobbying on their behalf in overseas bank accounts "to enjoy a lavish lifestyle in the United States." Charges like these are relatively easy to prove, compared to other potential crimes with which the special counsel might have charged Manafort. Mueller just needs a win, and he’s almost surely going to get it. Tax evasion means the defendant knowingly, with the purpose of evading taxes, owed substantially more tax than he reported on his income tax return because, for example, he intentionally failed to report income. The “tax perjury” statute criminalizes the making of a false statement in connection with a return. All that is required is that Manafort willfully submitted a tax return with a written declaration that it is made under the penalty of perjury — a declaration that he does not believe to be true. The government doesn’t even have to prove that Manafort has tax due and owing, the way it would have to if it was attempting to prosecute him for tax evasion. To avoid the higher burden of proving a tax due and owing, prosecutors will often charge tax perjury instead of tax evasion. Mueller's team has also charged Manafort with bank fraud. The bank fraud statute prohibits two types of conduct: knowingly executing a "scheme," either to defraud a bank or to obtain any money or other property from a bank, by fraudulent representations. These are actually two separate options for the prosecution. To secure a bank fraud conviction, the prosecution doesn’t need to prove any fraudulent promises, or that the bank suffered any loss. Nor do they need to prove that the bank was the intended victim. The crime is committed by getting money from a bank while intending to defraud someone else. After a 2016 Supreme Court case interpreting the statute, prosecutors do not need to prove that the bank suffered a loss or that the defendant intended the bank to do so. The public has already seen the exhibit list, the witness list, and heard the opening statements. This is going to be a by-the-book federal white collar prosecution. The government will rely on the testimony of cooperating witnesses, and reams and reams of documents and data. The government will also introduce evidence of Manafort’s extravagant lifestyle. While this evidence is technically admissible to show Manafort’s need for money and motive to defraud, it also serves to make Manafort eminently unlikable to a jury of working folks. The defense’s opening remarks suggests that this, like many similar cases, is a tough one to defend. Despite the many documents and witnesses referenced in the government’s opening statement, the defense opened by focusing mostly on casting doubt on the cooperating witness's credibility. In Manafort’s case, that's his longtime business associate Rick Gates, also a former Trump campaign aide. Sometimes, if the defense has bad facts, or cannot marshal an alternate theory about what happened, all they can do is point at the cooperating witness and say: "He’s lying." This approach can work, but only if the defense can also show that the documents are “lying,” too. And all the other witnesses are “lying.” It’s an uphill battle for any defense facing a document-heavy case with cooperators, such as this one. In all likelihood, the special counsel’s team will get a win on at least some of the counts against Manafort. The charged crimes have a relatively light burden; the documentary evidence is overwhelming; and Gates’s knowledge about Manafort will be compelling enough to overcome his credibility issues. The defense will point out that Gates pleaded guilty to conspiracy and lying to the FBI, as part of a deal he struck to cooperate with the special counsel after being indicated alongside Manafort on similar charges. But Gates’s exposed motive to fabricate will not be enough in this case to make the jury disregard his testimony, should he give it. And if all that wasn’t enough, there's the government’s ace in the hole: evidence of wealth. Regular folks on a jury dislike a rich guy who flaunts it. They really, really dislike a rich guy who flouts the laws the rest of us have to follow. The special counsel's team is set up for a win, and they're almost definitely going to get one.